What does the next year have in store for the human body? The transition from one year to the next is always a little uncertain – an uneasy blend of anxiety and optimism, it’s also a time of retrospection, introspection, and even a little tentative prognostication. And since the latter is our stock-in-trade at Futurism, we believe now is the perfect time to look ahead at what 2017 has in store for us. Last year was a remarkable year in medicine. We saw continued development and refinements of CRISPR/Cas-9 gene-editing technology, lab-grown “mini-brains” were created to study the neurological effects of Zika and other disorders, a successful womb transplant was performed in the US, and the FDA approved the first artificial pancreas. Pretty remarkable advances—but 2017 promises to usher in more of the same. Here’s our list of some of the many wonderful advances in medicine we can look forward to in 2017. Sophisticated technologies have always had an important role to play in medicine, with each year adding extraordinary new tools to the physician’s medicine bag—2017 will be no exception. We can, for instance, expect further improvements in the technology of robotic surgery. 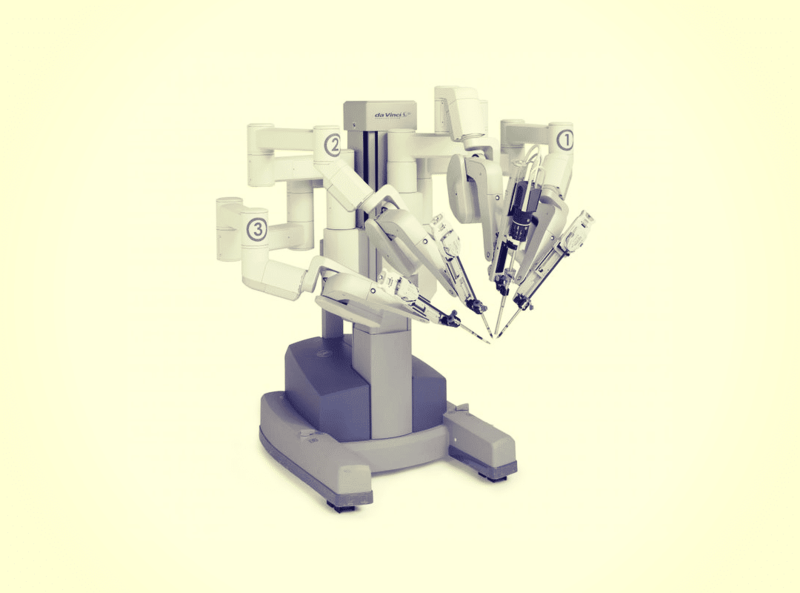 In addition to the currently available da Vinci Surgical System, look to see competition from the new surgical robot system developed by the partnership of Google and Johnson & Johnson. These new systems will parlay advances in software, miniaturization, and robotics to allow for minimally invasive surgeries on the most delicate elements of human anatomy. Another untapped (or very minimally tapped) technological frontier in medicine involves the use of artificial intelligence (AI)—which seems to touch upon just about every field nowadays. IBM’s Watson has already displayed a keen diagnostic eye, and machine learning and deep learning programs have been used to predict everything from when a patient will die to where the next major disease outbreak will occur. We can expect the application of AI to medicine to only increase in the coming year, when the need to cull through and assimilate enormous quantities of medical data—whether on an individual or large-scale, societal basis—will become critical. Meanwhile, the danger that potentially flawed machine learning programs will supplant rather than merely supplement human medical judgment will also become much more than just an abstruse, academic question for medical ethicists. But 2017 won’t be just about robots and artificial intelligence. It’s likely that some of the less visually spectacular medical technologies will yield the most astonishing medical breakthroughs. Drug research, for instance, is poised to take off in 2017—especially with immunotherapeutic treatments for cancer. According to Stanley Marks, chairman of the UPMC CancerCenter, it is these treatments—which marshal the body’s immune system to attack and destroy cancerous cells—that represent the single most promising new front in the war on cancer. Using checkpoint inhibitor drugs and CAR (chimeric antigen receptor) T-cell therapies, it’s become possible to mobilize the body’s own immune system to fight the cancer. The method involves extracting T-cells from the patient’s own blood, and genetically engineering them to recognize, attach to, and neutralize tumorous cells. It’s already had promising results in fighting some leukemias, so we can look forward to more research on these remarkable “living drugs” in 2017. Further drug advances to look out for in the coming year include: a vaccine for HIV beginning Phase II trials, the use of the dissociative anesthetic ketamine to target treatment-resistant depression, new drugs and therapies based on the microbiome, and even a new female libido booster that’s up for approval. The revolutionary CRISPR/Cas-9 gene-editing technology has disrupted biology like nothing else—and bids fair to transform it from a slow, imprecise science to something approaching the precision of the physical sciences. What 2017 holds for gene-editing technology is anyone’s guess—it’s even possible that the Chinese, or some other nation with laxer standards than are currently permitted in the U.S., might begin a more widespread use of the technique in human subjects. Despite the reasonable ethical qualms, it’s inevitable that the CRISPR/Cas-9 method will be extended to human use, and 2017 will very likely be the year we see this happen. Look for active measures, such as more extensive trials in the cancer-fighting uses of the technology (for example, in the CAR T-cell therapies we mentioned above), or scientists using it to eradicate pathogenic human DNA viruses like HIV or herpes. The bottom line: 2017 is looking to be an exciting year, in all avenues of research and discovery, but particularly in medicine. And if all the above wasn’t exciting enough for you—you can look forward to capping it off with what might be the world’s first head transplant. Disembodied heads or not, you can read all about the latest developments here at Futurism.